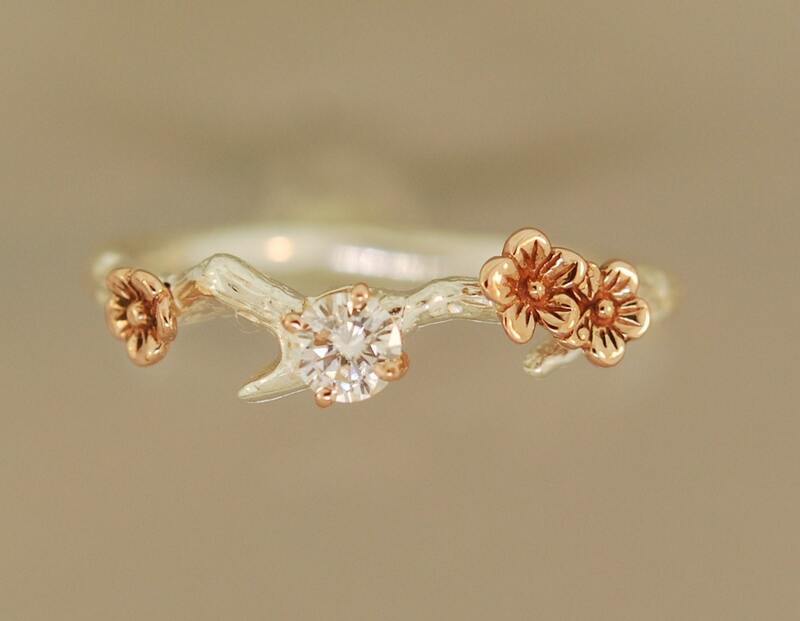 These truly unique rings feature solid 14 karat rose gold cherry blossoms and a 4 mm forever one moissanite from Charles and Colvard. 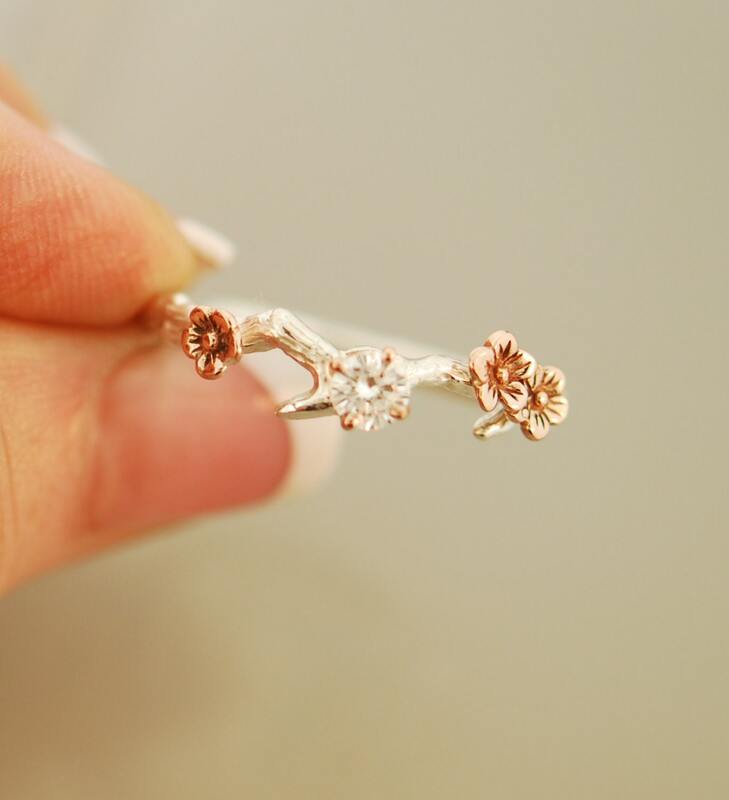 The setting for the stone is also 14 karat rose gold. 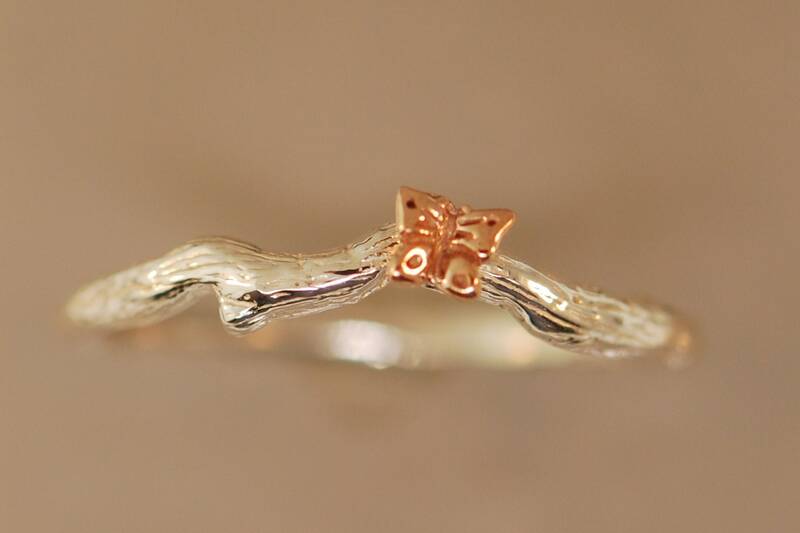 The coordinating band has the sweetest butterfly perched on it. 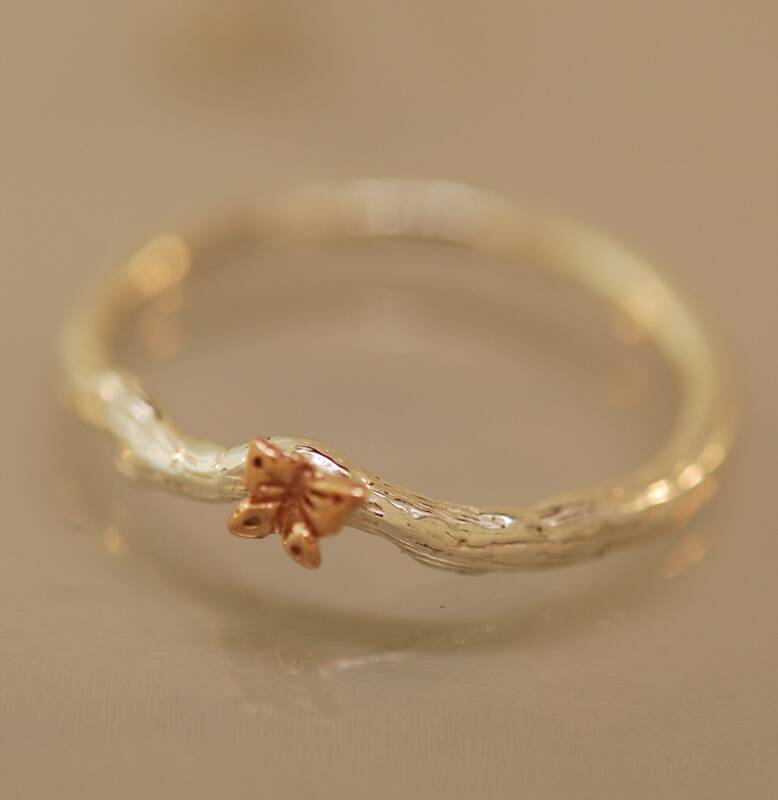 The bands for these rings are sterling silver. 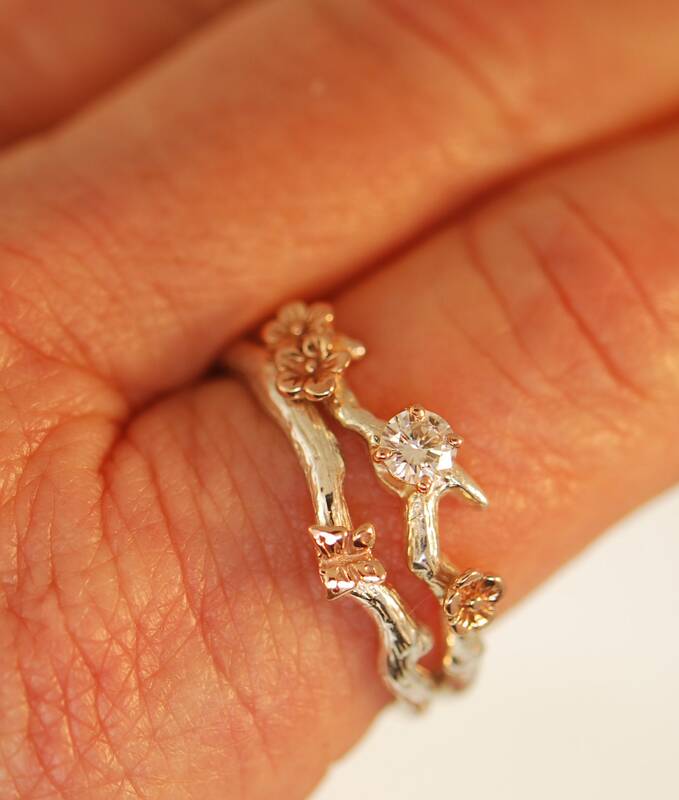 You can purchase either ring separately or both together from this listing. 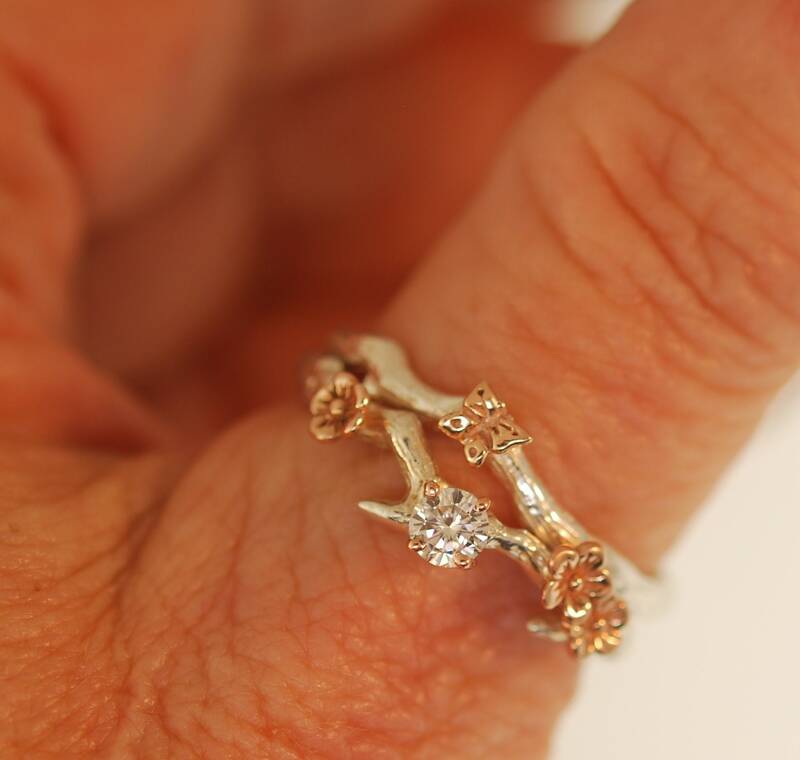 If you would like the 5 mm size moissanite you can also purchase from this listing. 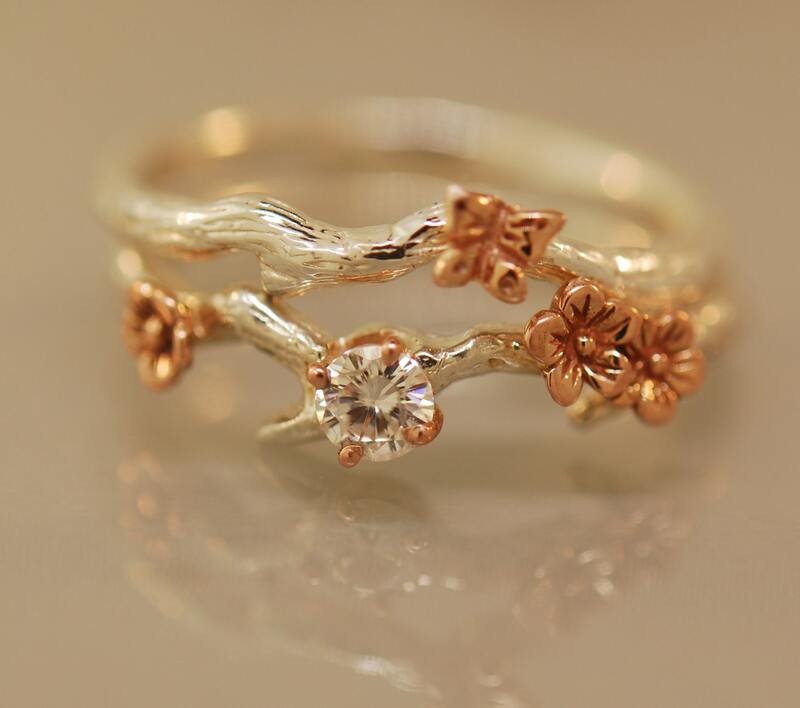 Since the butterfly and blossoms are 14 karat solid rose gold the color will not wear off. 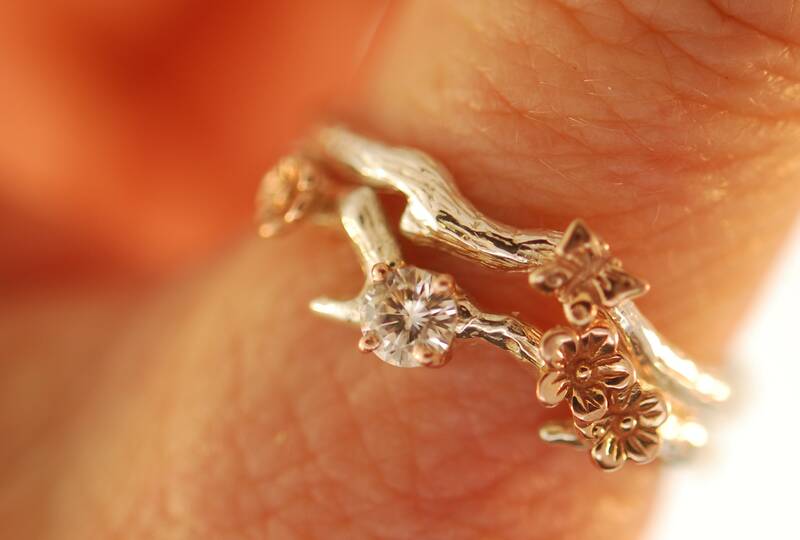 I can do in all combinations for example in all sterling silver or with gold flowers. 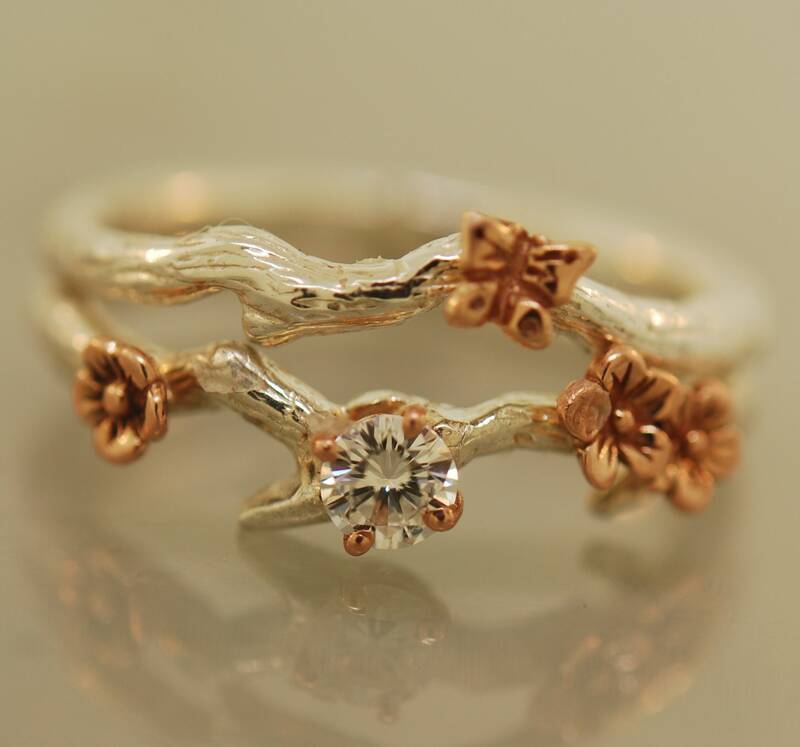 Perhaps you would like a white 14 karat band, that is possible too. I can set different stones such as moonstone, ruby, sapphire, etc. Please email me with your favorite.